Surtarang is a National Talent Hunt Program by Sangam Kala Group , which is organizing its 37th National Talent Hunt across India. The Greater Noida Auditions & Noida Finals are being hosted by GL Bajaj Institute of Management and Research, Greater Noida on September 13 & 14, 2017 where participants from all over Noida and Greater Noida will be coming for giving auditions. The chief guests of the event are Mr. Pankaj Agrawal, Vice Chairman GL Bajaj Educational Institutions and Dr. Urvashi Makkar, Director General, GLBIMR. 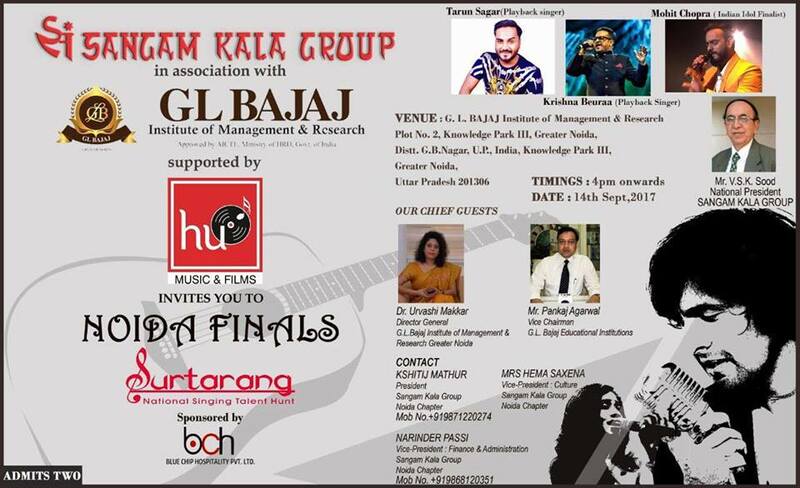 The celebrity guest for Noida Finals on September 14 are Tarun Sagar (Playback Singer), Krishna Beura (Playback Singer) and Mohit Chopra (Playback Singer). 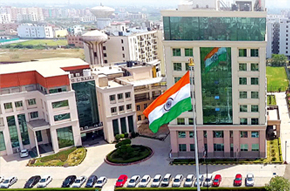 GLBIMR is all set to welcome the participants and we look forward for the grand success of this event.